Fall camp is just over a week old and starting positions are still very much up for grabs throughout the team, but perhaps nowhere more so than at outside linebacker. However, don’t call them “position battles,” especially at the field outside linebacker spot headlined by senior Marcus Newby and junior Luke Gifford. The players seem to be on the same page as their coordinator. Sharing time is nothing new for Newby. Last season, senior Michael Rose-Ivey started eight games and racked up 70 tackles, while Newby started four games with 18 tackles. Rose-Ivey recored eight tackles for loss, while Newby contributed a pair of sacks and showed strong coverage ability. Nebraska looks poised to have a similar time share at the Dog position this year. One thing that will help Gifford see the field as a junior after playing in just four games as a sophomore is an improved ability to rush the passer, according to linebackers coach Trent Bray. Overall, Bray said he is happy with what he’s seen from the Dog position to this point. Add in Tyrin Ferguson, the sophomore who took the unconventional route of redshirting last season after playing on special teams as a true freshman, and the Huskers look to have good depth at that position. Things are far from settled on the other side of the defense as well as redshirt sophomore Alex Davis and junior Sedrick King are battling for snaps at the Cat after playing defensive end last season. “Me and Sed are right there; we help each other out, force each other to get better every day, and that’s just something we do, push each other every day,” Davis said. The biggest change for Davis has been learning how to drop into coverage, something that is rarely asked of a defensive end. He said he feels like he’s getting there, however. At 6-foot-5 and 255 pounds, Davis said he’s most comfortable getting downhill, but he’s learning that playing in space can be enjoyable as well. True freshman Guy Thomas, at 6-foot-3 and 230 pounds, will also factor into that discussion as camp plays out. 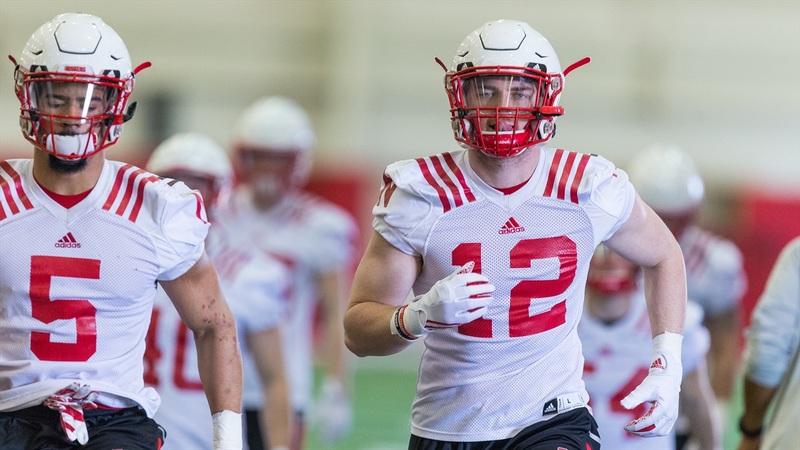 Nebraska’s outside linebacker position is still one of the biggest question marks on the team as camp rolls on, but the early returns show plenty of potential answers for Coach Mike Riley, Diaco and Bray to choose from.